Chiang Mai is activity paradise in Thailand. You can do many, many things, from small treks to extreme stuff. 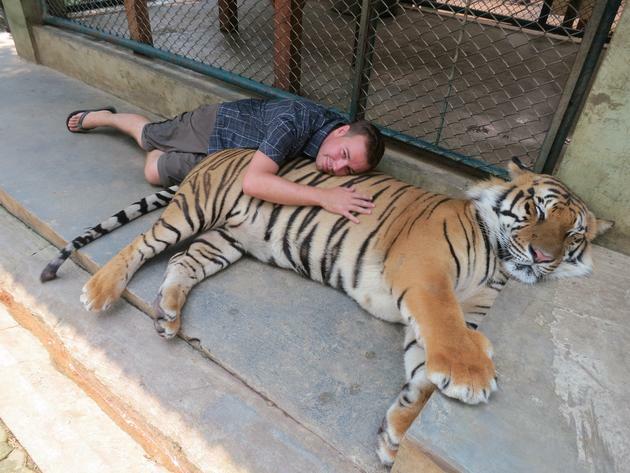 One of the most popular is spending some time with tigers. I couldn’t miss that! 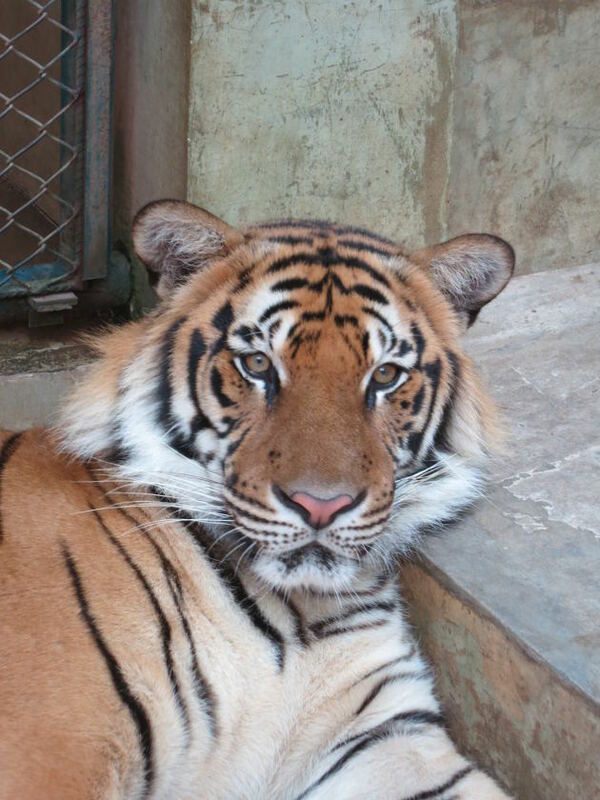 Tiger Kingdom is located 20 minutes from Chiang Mai. You have to buy a ticket for each tiger sizes (from baby to adult) you want to spend 15 minutes with. Prices go from 420B for an adult to 620B for a baby. The place is very well maintained and the tigers are beautiful. I chose to get into the cages of small and big tigers. It is truly a majestic animal. The big ones are impressive and you can really feel how powerful they are. Lying down on one is a great experience. 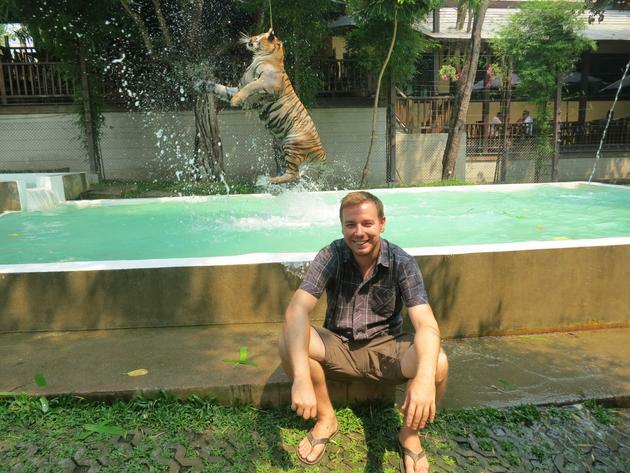 The Tiger Kingdom is a very well oiled tourist machine. These kind of petting zoos are a big controversial issue but I had read great reviews about this particular place. From what I experienced, the tigers didn’t seem drugged and seemed well taken care of. Most of them are asleep but some are very playful, fighting with each other or jumping around. I can safely say this was one of my greatest experience since I left in January. You're About to Jump Out a Perfectly Good Airplane Jonny, How Do You Feel About That?